With Automate.io, you can sync Asana with tons of your favorite apps. Create tasks, calendar events, start a conversation automatically from activity in other apps, and much more to get things done faster. 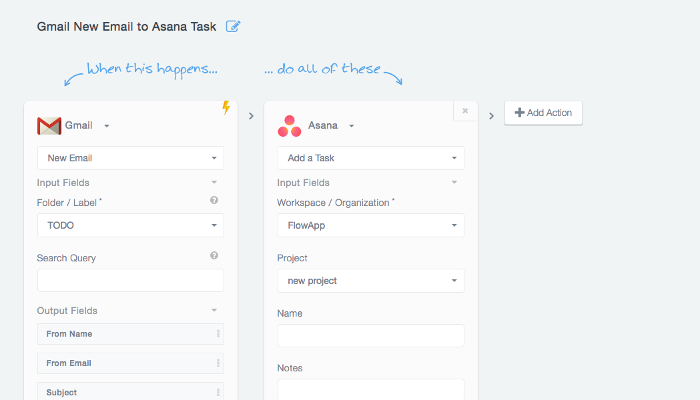 Create a Bot with the trigger event in other apps, and select an Action to be done in Asana (like creating a new task in a project). Or vice versa. You can also add multiple actions to be done in one Bot. Contact the Automate.io support team with any questions.